For the first time leading composite door manufacturer Rockdoor is offering the Holy Grail of doors thanks to its exclusive new technology, Heat Shield. 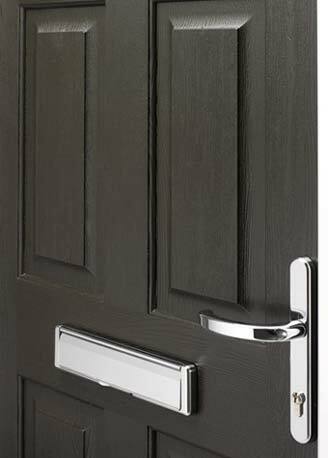 The heat resistant foil now allows Rockdoor to offer a black door with confidence that it won’t suffer problems that other have experienced in the past. Existing grained door foils are far too thin, absorbing more UV rays so they expand and contract as the temperature fluctuates. The problem is even worse for black doors because they absorb even more heat. Heat Shield from Rockdoor reflects up to 80% of the Near Infrared (NIR) proportion of the sunlight, significantly reducing the heat absorbed by the door so it doesn't crack or blister. The result is it looks better for much, much longer.